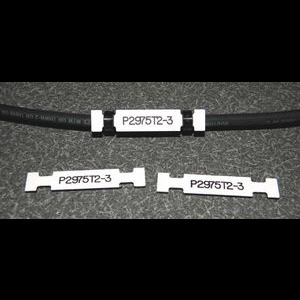 MS-264 Engraved plastic cable markers from Marking Services Inc. are ideal for marking electrical cables in control panels. Engraved information clearly shows against background. Standard color white with black text. Additional colors available upon request.